Turn left out of the gate and walk a few yards down the road to the gate into the field. Walk up the left edge of the field following the yellow marker posts until you reach a stile over the wall. Follow the path rising up to the right which zigzags to the top, avoiding the sheep tracks running across the slope. Once on the ridge turn right and follow the path along the broad ridge, which has good views of the eastern fells. 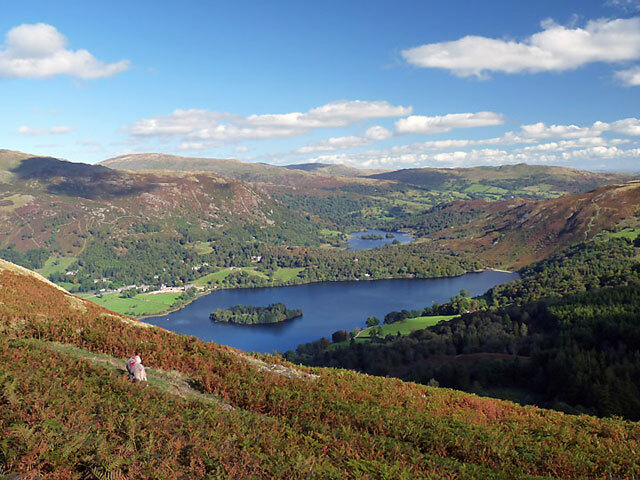 Take the path to the left of the reed filled tarn and then up to the top of Silver How (1292 ft) where there are good views looking down to Grasmere and Rydal Water. Leave the summit following the cairns heading north and follow the path down through the Juniper bushes and then between walls, which leads onto a lane into Grasmere. To return by a different route, leave Grasmere on the Red Bank road and turn right opposite Faeryland tea garden near the lake. Go though the gate and climb the track steeply uphill at first until eventually it levels out and you reach a large cairn overlooking Elterwater quarry and Chapel Stile. 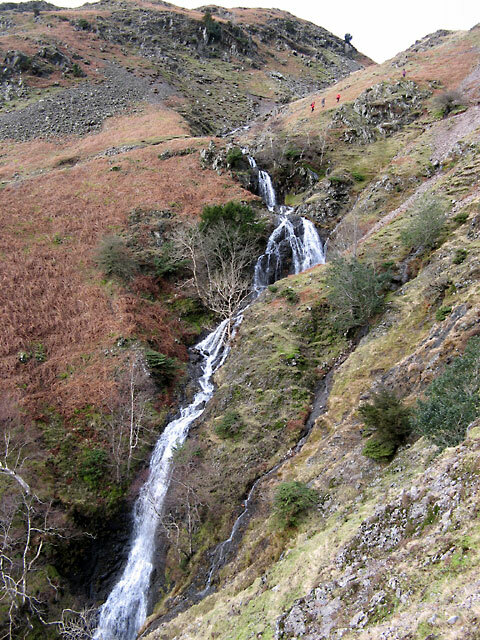 Follow the exposed path around the head of Megs Gill, then part way down take the path to the right through the bracken. The undulating path then contours the slope for a while before gradually descending into Langdale, joining the road at Harry Place farm. 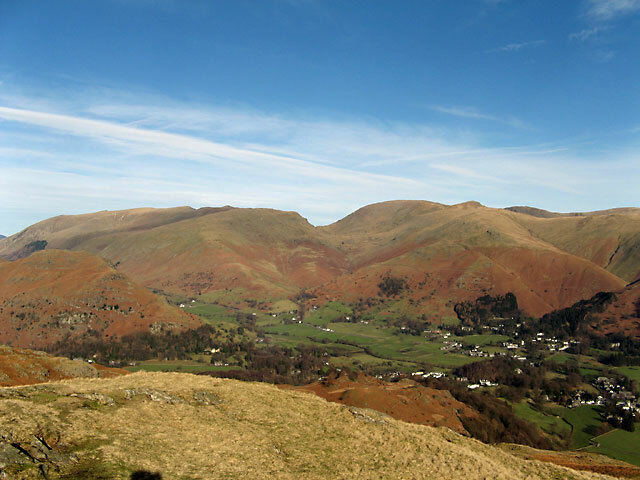 Up on the ridge and a view across the Vale of Grasmere to Helvellyn and Fairfield. Grasmere and Rydal Water from Silver How. 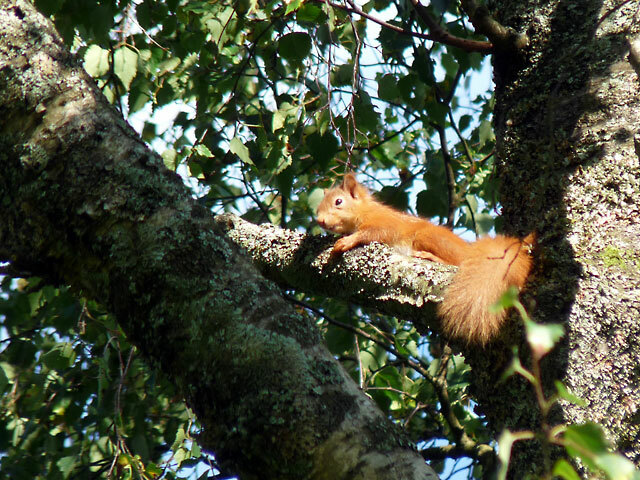 A red squirral in the woods above Grasmere. 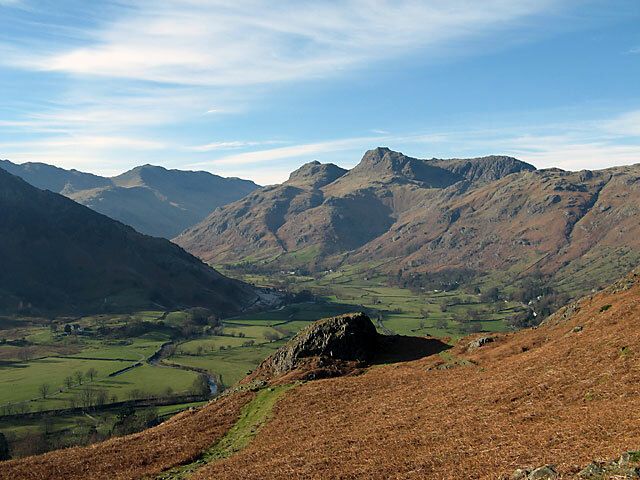 Returning to Langdale and a great view of the Pikes.